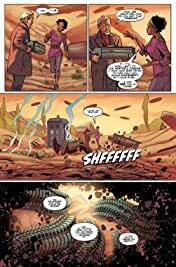 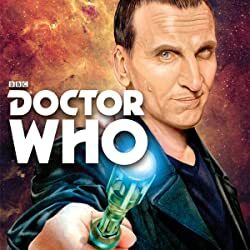 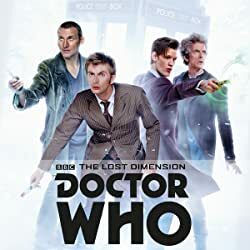 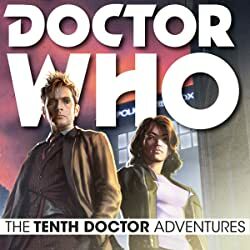 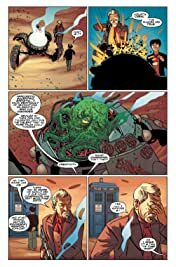 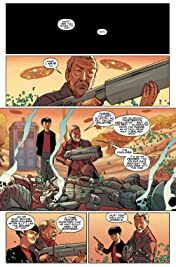 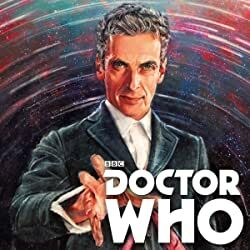 Collecting #11-15 of the Eleventh Doctor's jaw-dropping second year, this collection reveals the mindbending truth about the Doctor's quest to clear his name! 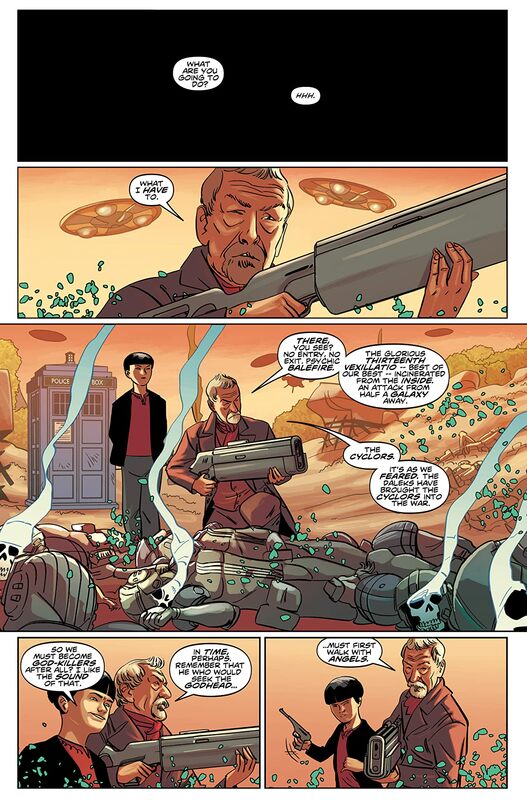 Featuring stunning adventures in the depths of the Time War, as Alice Obiefune comes face to face with the War Doctor! 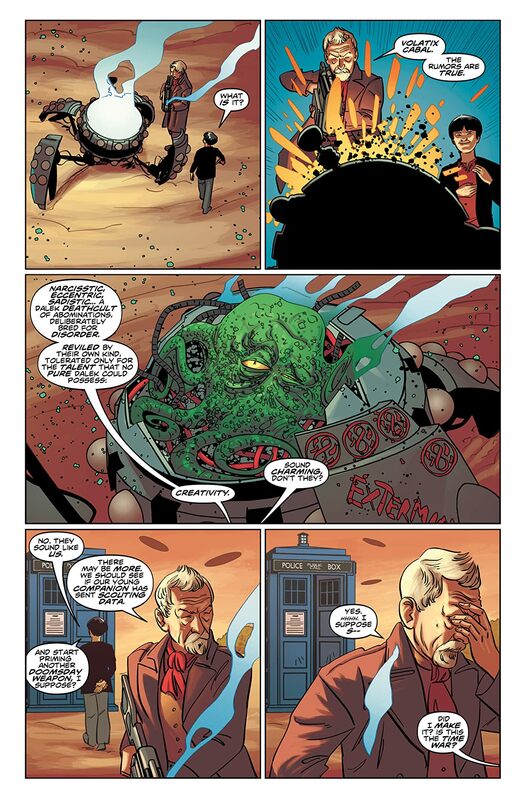 Plus: the final revelations of the Squire, Abslom Daak, and the cult of Exterminhate! 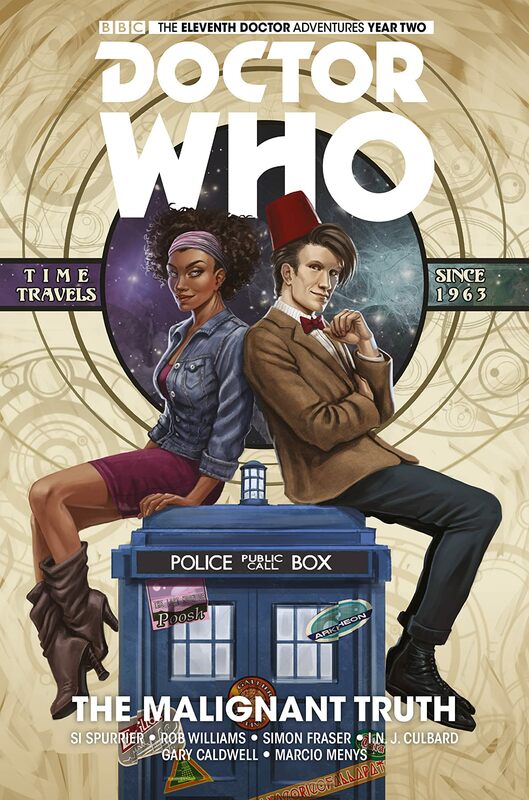 Unmissable cosmic adventure, as gods live and die – and time itself is shaken to its core!